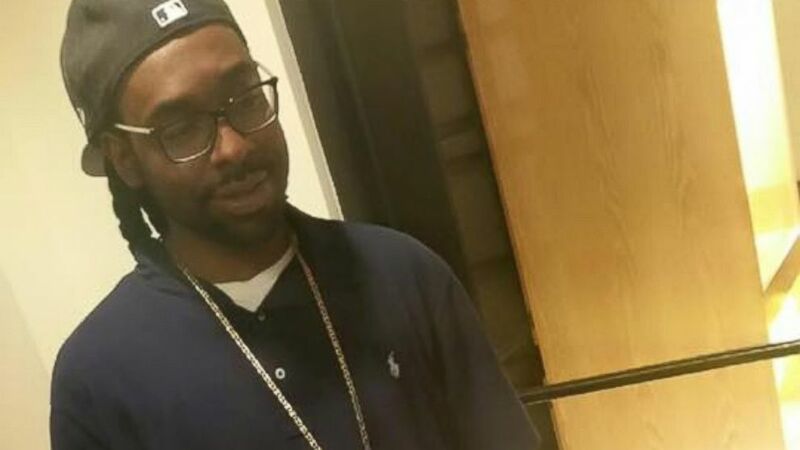 Castile was shot and killing by a police officer in Minnesota last week. 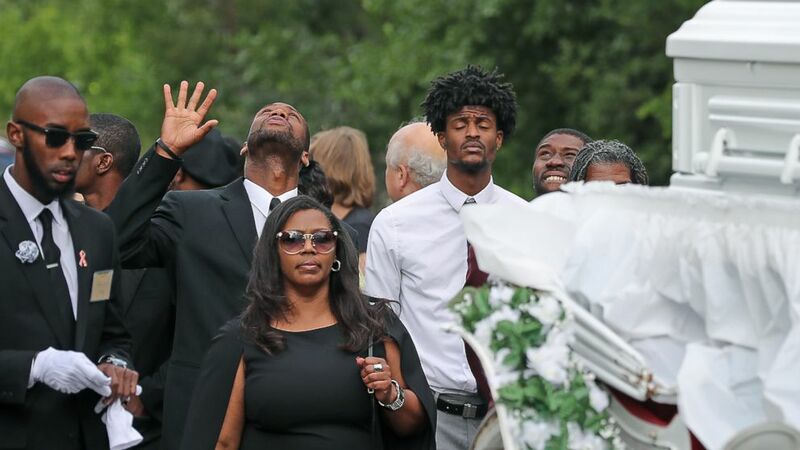 Diamond Reynolds' young daughter looked on as crowds gathered today for the funeral for Reynolds' boyfriend, Philando Castile, who was fatally shot by a police officer in Minnesota last week. 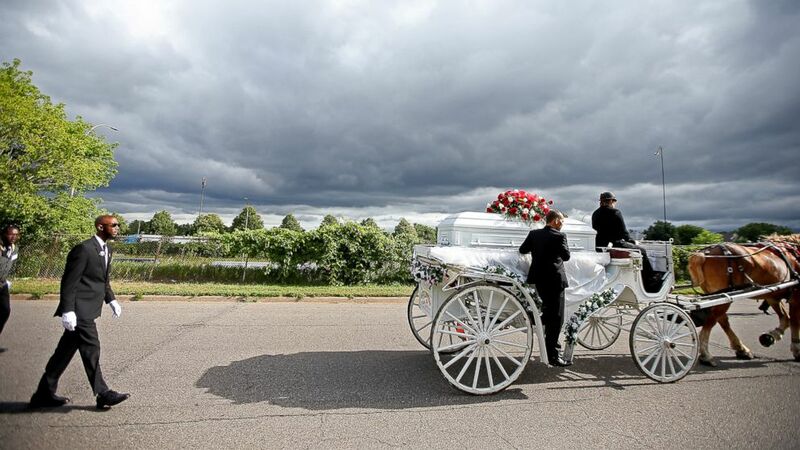 A cloudy sky loomed over this morning's funeral procession to the service at the Cathedral of St. Paul. 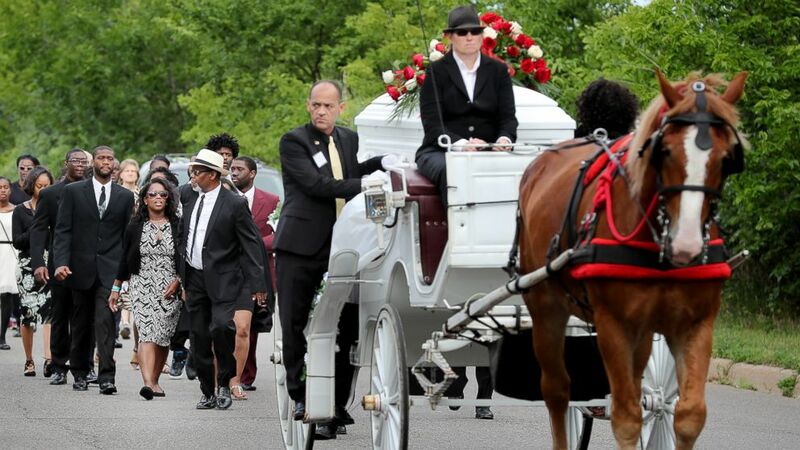 (Elizabeth Flores/AP Photo) The funeral procession for Philando Castile makes its way along Concordia Avenue to the St. Paul Cathedral, July 14, 2016, in St. Paul, Minnesota. (Elizabeth Flores//AP Photo) The funeral procession for Philando Castile makes its way along Concordia Avenue to The Cathedral of Saint Paul, July 14, 2016, in St. Paul, Minnesota. (Elizabeth Flores/AP Photo) Friends and family follow the funeral procession for Philando Castile as it makes its way along Concordia Avenue to The Cathedral of Saint Paul, July 14, 2016, in St. Paul, Minnesota. (Eric Miller/Reuters) Family members comfort Diamond Reynolds as the casket of Philando Castile is taken into the Cathedral of St. Paul in St. Paul, Minnesota, July 14, 2016. 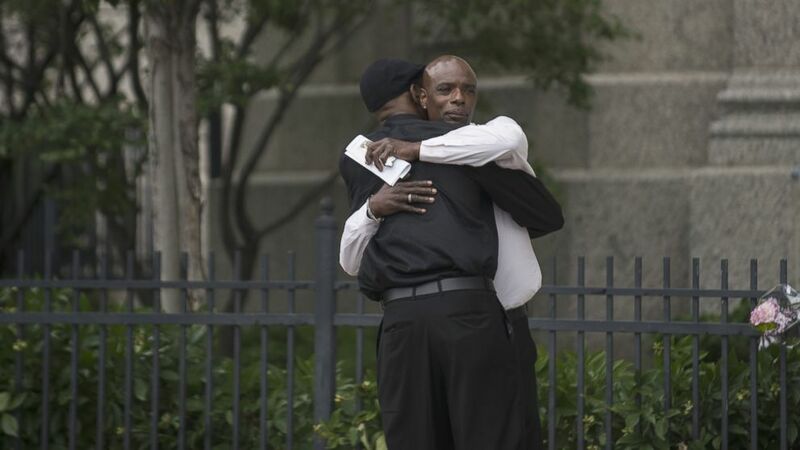 (Stephen Maturen/Getty Images) Two men embrace outside the funeral of Philando Castile at the Cathedral of St. Paul, on July 14, 2016, in St. Paul, Minnesota. 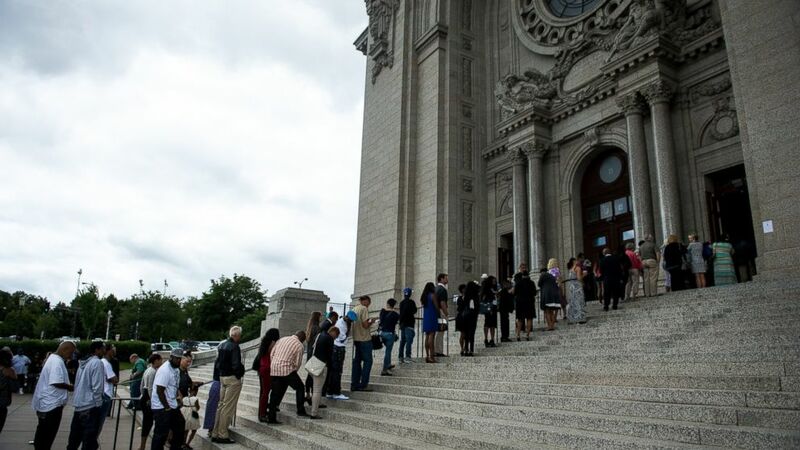 (Aaron Lavinsky/AP Photo) The long line outside the St. Paul Cathedral for the funeral of Philando Castile, July 14, 2016, at St. Paul Cathedral in St. Paul, Minnesota. Castile, a black man, was shot several times after he was pulled over with Reynolds and her 4-year-old daughter in Falcon Heights on July 6. 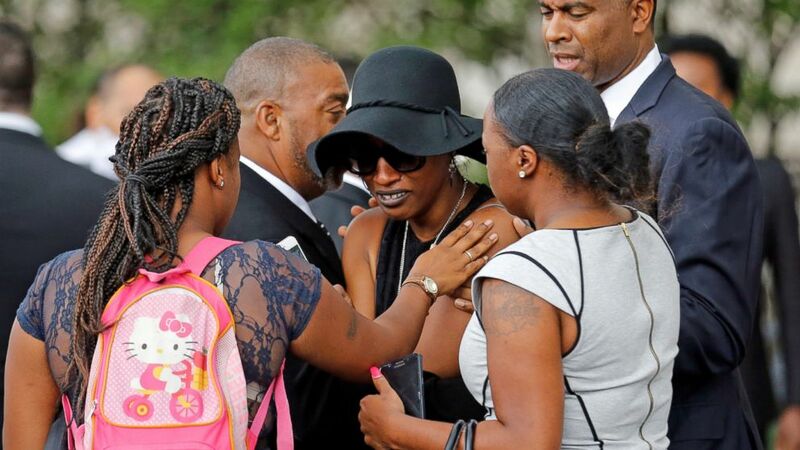 "It's been going on too long," his mother, Valerie Castile, told reporters on Tuesday. "I used to look at TV and see other parents under these same circumstances and say, 'Wow, I hope that would never happen to me.' But it has." She said her son would have turned 33 on July 16. (Facebook) Philando Castile, 32, was shot and killed by police in Minnesota during a traffic stop, July 6, 2016. The two St. Anthony police officers involved in Castile's shooting have been placed on administrative leave. The Minnesota Bureau of Criminal Apprehension has launched an independent investigation into the use of force in Castile's death.